I am having a fundraiser to help with my campaign. I am selling a variety of delicious cheese cakes for 19.00 a piece.All fees have to be paid in advance. To purchase please go to https://www.paypal.com/cgi-bin/webscr?cmd=_s-xclick&hosted_button_id=VYTSJUKJTMMPL in the comments please put the name that you go by. Thanks for your support. Please click on learn more to see the available flavors for the Cheesecake. Thanks I am also having a Banquet on Nov 3rd, 6 pm. It will be furnished by Dorey's. The price is $12 dollars per plate.There will be BBQ Pulled Pork,BBQ Beans,Cole Slaw,Fried Okra,and hushpuppies. The address will be 1302 West Center Street, Sheridan, Arkansas 72150. The place is furnished by White House Hair. 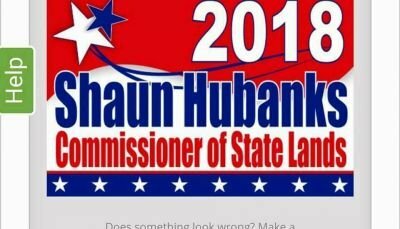 All proceeds will go to Shaun Hubanks' campaign to be elected as Arkansas Commissioner of State Lands. All fees have to be paid in advance. To purchase please go to https://www.paypal.com/cgi-bin/webscr?cmd=_s-xclick&hosted_button_id=VYTSJUKJTMMPL in the comments please put the name that you go by. Thanks Please put in the comments if the purchase is for cheesecakes or the BBQ Dinner. If you want to donate without purchasing please do. Thanks again for everyone's support in my campaign.